An entry in the Nature section of the Appendices references Batman. 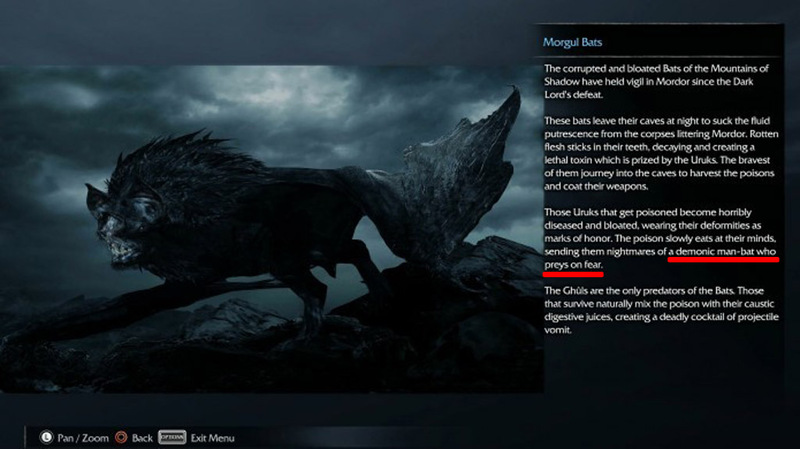 During the mission, "Shattered Memories", after waking to find the Graug, Celebrimbor will call out "Fly, you fool" in reference to Gandalf's line in Lord of the Rings: The Fellowship of the Ring where he tells the Fellowship to run after his fight with the Balrog. When returning to a Forge Tower, Talion sometimes asks what the Towers are. Celebrimbor will respond that they are "...a light in darkness of Mordor, when all others have gone out". This is a reference to the Vial of Galadriel, given to Frodo Baggins. 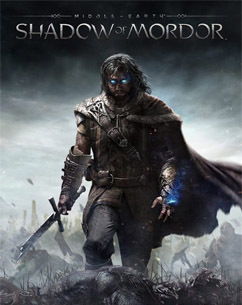 Talion will make a remark about Torvin being a wanderer, to which Celebrimbor will respond "Not all those who wander are lost" which is a line from the poem All that is gold does not glitter, written by J. R. R. Tolkien (Creator of Lord of the Rings).